Disposable Air Filters - 6 pack? 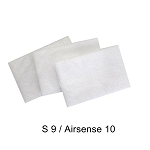 Washable Air Filters - 2 pack? 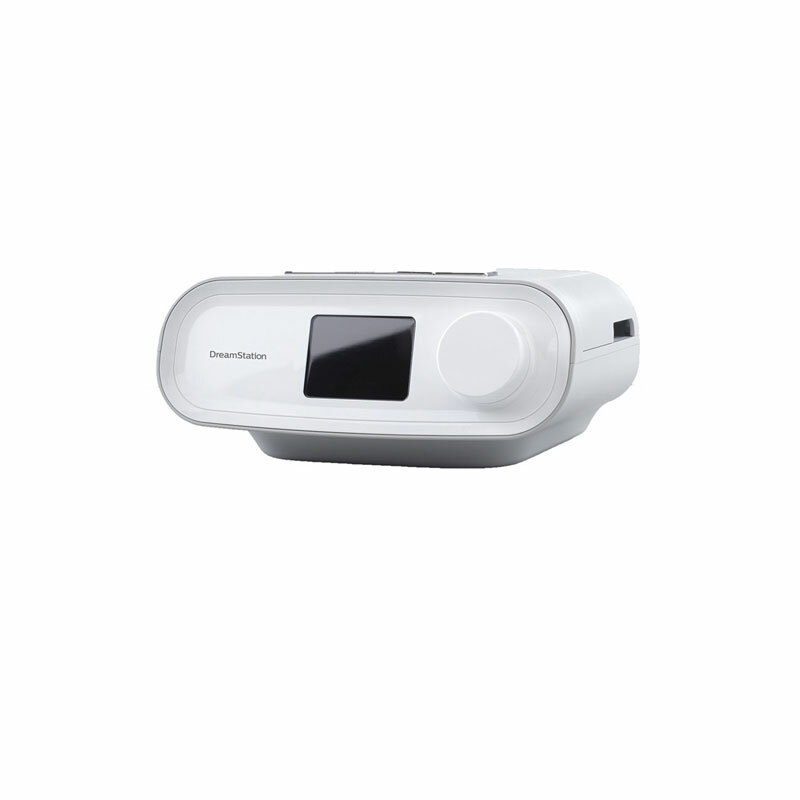 The DreamStation™ machine is a sleek white color and measures 7.6 inches x 6.2 inches x 3.3 inches and weighs 2.94 lbs making it smaller and lighter than the System One models by Respironics. Advanced data can be reviewed on the machine's display, downloaded off the included SD card, or viewed via bluetooth on the DreamMapper app on compatible devices (not included). 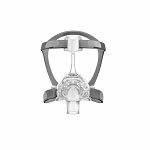 This is an auto-adjusting machine that automatically adjusts pressure during the night on a breath-by-breath basis to provide the optimum pressure needed. The machine has a front-facing color display with a large dial for navigating menus. Menus and settings are navigated through and changed by turning and pressing the dial as needed. An ambient light sensor on the top of the machine allows the machine to adjust screen brightness depending on light levels in the room. 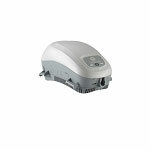 The DreamStation™ Auto has tray style filters that slide in and out of the machine easily for cleaning and replacement. The darker blue filter is a reusable filter which should be washed regularly, and the lighter blue is a disposable filter which should be replaced every 30 days or sooner if dirty. 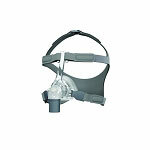 The DreamStation™ Auto monitors the user throughout the night to provide pressures as needed when events occur. 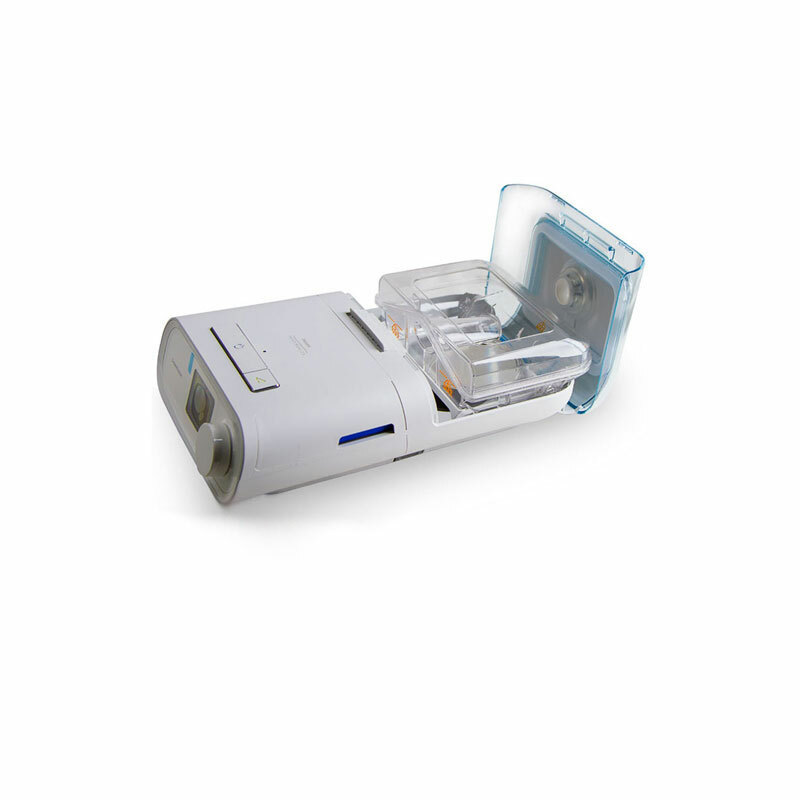 The machine remains at the lower pressure of the auto-adjusting range, and if an event is detected, increases pressure up to the upper pressure of the range to support the airway. 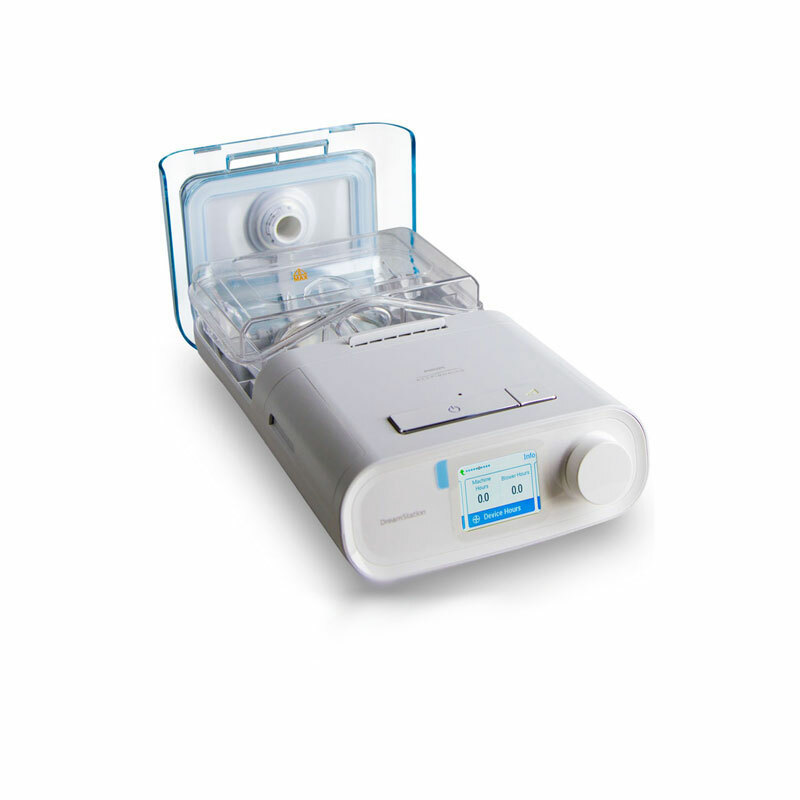 With Opti-Start enabled, the machine begins therapy at 90% of the pressure reached in the previous session to help address residual events that may occur early in therapy. Available for additional purchase is the DreamStation™ Heated Humidifier, the integrated heated humidifier for use with the DreamStation™ Auto. 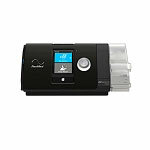 The heated humidifier connects directly to the machine and features dry box technology to help reduce the chance of water entering the machine from the humidifier. The water chamber is dishwasher safe and is designed to be easily taken out for cleaning and filling. The chamber sits inside the humidifier and with the lid open can be lifted straight out of the humidifier and sat back inside and the lid closed to be ready for use again. 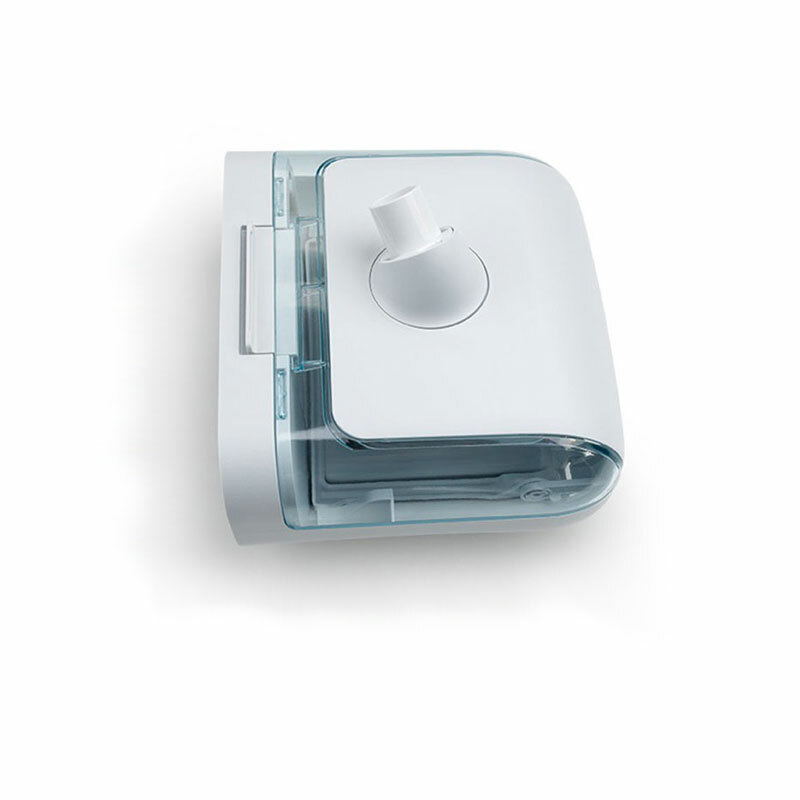 The humidifier can be set in a standard heating mode which provides constant heat levels throughout the night, with both the humidifier and heated tube having heat settings of 0 to 5 with 0 being off and 5 being the highest heat. Adaptive mode is also available which monitors ambient humidity and automatically adjusts heat levels during the night to provide optimum humidity. Preheat will heat the humidifier up to 30 minutes before starting therapy. 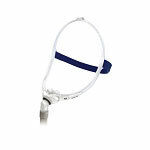 Also available for additional purchase is the DreamStation™ Heated Tube to further increase therapy comfort by helping maintain heat and moisture in therapy air all the way to the mask. If the humidifier is not being used, the heated tube can be connected directly to the machine, though will not heat. Auto On/Off: The DreamStation™ APAP can detect if the user has their mask on or off and will begin or stop therapy accordingly, if enabled. Bluetooth Connectivity: Bluetooth is built-in to connect to the DreamMapper app to track therapy. The DreamMapper app is available on compatible iOS (iOS 6 or newer) and Android devices (2.2 or newer) and can be downloaded in the iTunes App Store or the Google Play Store. iOS and Android device not included. This was an upgrade to an older machine I had. This one is nice and quiet compared to the noisy 10 year old unit I had before. Slept well the first night. Fast shipping and great service. Please fax your prescription to 1-267-295-8736. You can also upload it via our Contact Us page.